A veteran audiobook narrator, e-learning voice, video game actor, and storyteller: Jack will give you winning, ahead-of-schedule voice work for audiobooks, e-learning, political ads, cartoons, commercials and videogames, and anything involving character voices. With a PR & stage-acting career spanning four decades, Jack brings a seasoned and always fresh approach to voiceover work. It’s been said he has the voice of “every man’s man.” While Jack is based in Las Vegas, his studio lets him work all over the world as a male voice actor. I'm happy to leave a five star rating for you. Your work is professional and timely. I really appreciate working with you. Professionalism and competence is a good combination. I'd tell you to hire Jack de Golia if you want a professional and amazing narrator for your audiobooks but I want him all to myself... but once all 47 of my books are made into audiobooks, you can have him! Narrator Jack de Golia takes charge of this thriller and helps listeners weave together an array of plotlines--the search for an immortality drug, an adventure amid ancient ruins, and a possible terror attack on the U.S. In a swift, capable narration, Jack de Golia portrays an international cast that includes Chinese intrigue, a mole in the FBI, and a former American Special Forces operative. He delivers wonderful foreign accents and even does well with female characters. Nick Carter may remind listeners of other tough undercover operatives, but, like the others, he keeps the action flowing. From an author who listened to Jack's work on her novel: "I *LOVE* it!!!! I absolutely love it, the voices, the slight accents, the pace of the narration. My teenage son walked by when I was listening, and he thought this was a David Baldacci audiobook. "Great Continuation of Series, powerful narration, Five Stars"
This is the 3rd book in the Lost Tales of Power series by Vincent Trigili. Voiced by the man with a thousand voices, Jack de Golia, this story has multiple returning characters and some new favorites you will enjoy. The Alpha Academy is back and a few students are chosen for a specialized training program, one that takes place outside of the safety and protection of the Academy. One of my favorite attributes of this series is that you learn about the world and all of its abilities and inhabitants as the characters do. Every new adventure or discovery is new to all the characters as well. So you learn along with the characters as you read or listen to the book. Jack de Golia voices each unique character with their own voice and Vincent tells the story thru several different characters points of view. This is a multiple view story done the best I have seen in a while. Multiple narrators tell the story and this story grows at a pace of real life experience. Days and weeks pass as you are immersed in this new world of wizards and sorcerers and space. I recommend this series and look forward to future books. Jack is quickly becoming our go-to narrator. He's completed multiple narration projects for our eLearning modules. 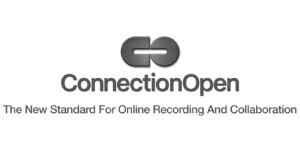 He is easy to work with, his narration is high quality, and he's very knowledgeable about file types, formatting, and audio file preferences. 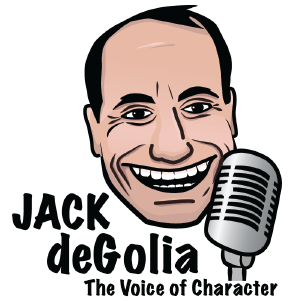 I would strongly recommend Jack de Golia for voice-overs and narration. OWNER/PRESIDENT, REIFY MEDIA, RALEIGH, N.C.